Her incredible idea of ‘Solar Suitcase’ came when she went to Nigeria on a research trip. During the trip, Dr. Laura Stachel was astounded to witness a situation when a physician was performing an emergency cesarean section and then lights went out! Stachel was even more surprised to see people’s casual reaction in that horrible situation. Fortunately with the help of her flash-light, doctors could complete the surgery. The lights went out and I said how are they going to finish? You didn’t even see people reacting because it was something they were so used to. Stachel recalls. During that two weeks trip, Stachel witnessed many other instances when life of the mothers and the babies were at risk, for the sole reason – lack of electricity. Pregnant women with much complication would come to the hospital, but due to lack of proper electricity, treatment got delayed till day light or procedures had to be compromised, resulting to death of the pregnant women in many occasions. According to WHO, nearly 40,000 pregnant women died in Nigeria in 2013. In Northern Nigeria, this rate is even higher. Moreover, about 4% of babies in Nigeria die each year, even before reaching 28 days old. That two weeks trip to Nigeria acted as an eye-opener for Dr. Laura Stachel. Stachel faced more complicated cases in Nigeria than she had ever seen in her entire career in the United States. She realized that she needed to do something about this. Dr. Laura Stachel started to find a solution with the help of her husband Hal Aronson, who is a solar energy educator. He came up with designs for a solar electric system to provide a free source of power to the state hospital in northern Nigeria where Stachel had conducted her research. With a small kit, Stachel returned to Nigeria to show how the system will be helpful. She took it for demonstration purpose, but the surgical team found the kit incredible and insisted to leave the kit with them. They said: This is incredible. You have to leave this with us. This could help us save lives right now, Stachel said. And that was the beginning of this noble cause, which let Dr. Laura Stachel to become one of the top ten CNN heroes of 2013. Soon, the news of this amazing ‘Solar Suitcase’ spread across to other clinics. Every time Stachel visited Africa, she would take two or three solar suitcases, assembled by her husband. The solar suitcase includes two solar panels to be fixed on the clinic’s roof, which are connected to high-quality LED lights. It can provide light for up to 20 hours. The kit also contains headlamps, a fetal Doppler to monitor a baby’s heart rate and a cell phone charging unit. 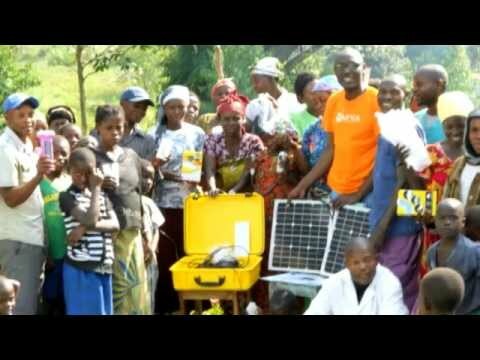 Solar Suitcase received more recognition after Stachel and Aronson started a nonprofit organization- We Care Solar. Since 2009, with the help of the kit, health care workers could save the lives throughout Africa, Asia and Central America. We Care Solar has provided over 400 solar suitcases in 27 countries so far. State hospital in northern Nigeria reported that death rate for women had decreased by 70% after the solar electric installation in 2009.